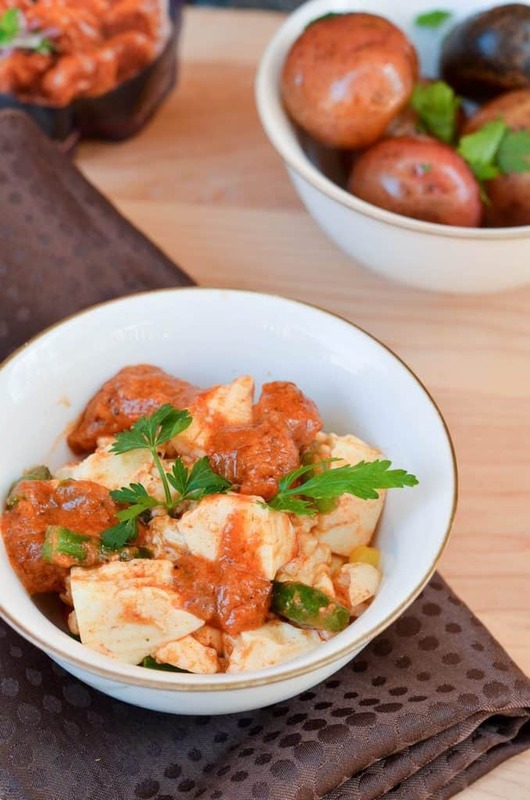 I’m always searching for easy vegetarian recipes that really expand our taste horizons, so I’m excited to share this delicious grilled tofu Tikka Masala with oven roasted potatoes recipe! It’s such a fun way to celebrate other cultures. I am in love with Tofu lately. Ever since I tried it in this easy recipe, I cannot stop experimenting with it. I don’t know about you, but when I discover a new ingredient, I try to use it in different recipes. Some turn out great (like the one I am sharing below), and some don’t work. Obviously, I don’t try a new dish when I have guests. I make sure to try it beforehand, and my family is open to trying new things. (I mean, they don’t have much of a choice). Today’s recipe was inspired by the Vaisakhi; the harvest festival celebrated in the Punjab region of Indian! It was celebrated on April the 13th and I thought it was an excellent idea to mix a little of India in my recipe to honor this celebration. Nothing like fresh herbs to celebrate new beginnings! As a Cultured Kitchen ambassador, Patak’s Canada challenged me to create an authentic festive dish to mark the new year. 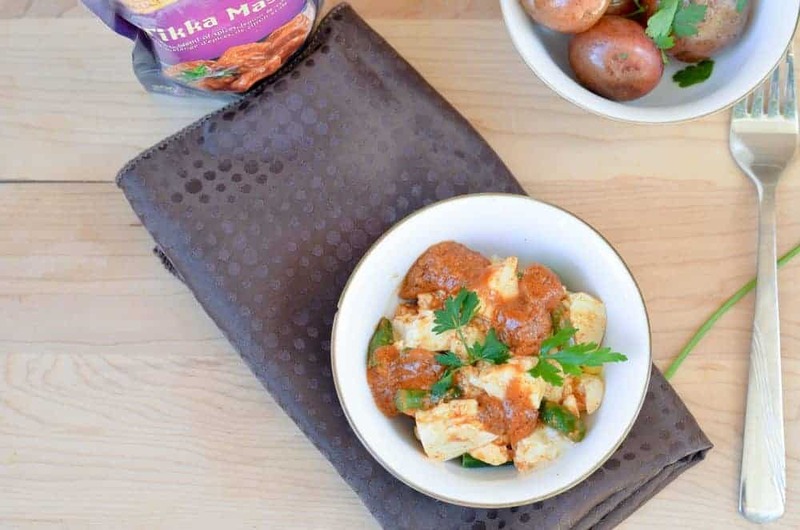 I made this easy Grilled tofu Tikka Masala with oven roasted potatoes.What a delicious challenge! Do you have any favorite vegetarian recipes that use tofu as the star? Tell us about it in the comments! 1 package of small potatoes. My children love them and we don’t have to peel them off so it saves time. Add ginger and half a package of Tikka Masala Sauce for Two. Heat for 5 to 10 minutes. Set aside. Cut the tofu into cubes. Transfer the tofu in the sauce skillet and stir slowly. Roast for 20 to 30 minutes until golden brown. Isn’t that easy? I love working with tofu in easy vegetarian recipes like this because the protein really picks up the flavors in the dish. If you’re looking for more fun ways to bring more culture to your dinner table, check out my warm lentil salad recipe celebrating the Year of the Pulses! 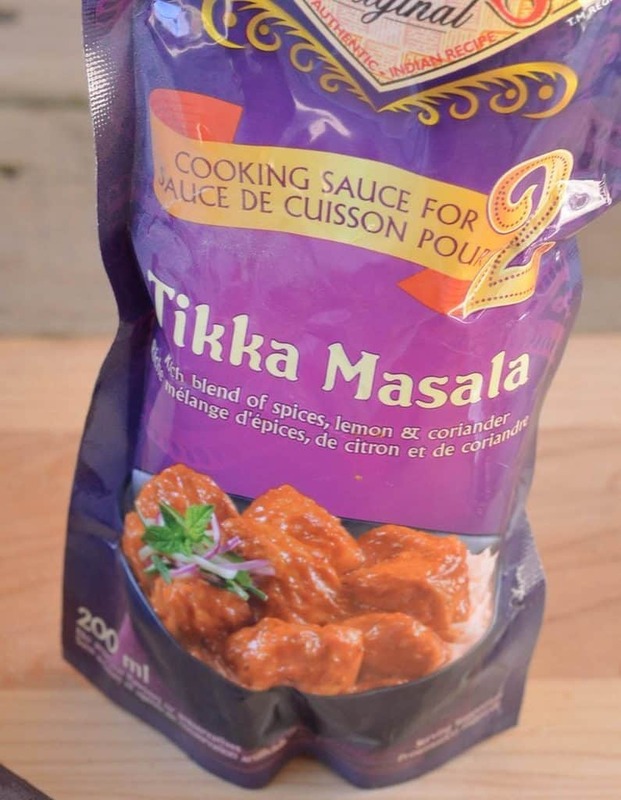 Head over to Pataks Canada to check out more delicious ways to Mix in a little India to your recipes! Follow on Facebook and Twitter to keep up with all their exciting news! This dish looks delicious. I have honestly never tried tofu before, and have been kind of afraid to try it because it is so unfamiliar to me. You make it seem really easy to work with, though. My son and I would end up being the ones eating this. He doesn’t like a whole lot of meat and I like food. All food! I love a good vegetarian dish. Even though I have never eaten tofu before this actually looks quite tasty. I have heard that it takes some getting used to. I love tofu, it’s so versatile and it goes great with spices and pretty much any sauce you can think of. This sounds like a great recipe, thanks for sharing it. It looks so good too! Give it a try and let me know. I have started eating Tofu few weeks ago. I’m not a tofu girl, but I want to be. But as tikki masala, it might be hard to not love it! I don’t do tofu because of allergies, but I am going to try this recipe with chicken. It sounds delicious. I love the flavors in this, and it makes it so easy to have a delicious meal for the family. I’ll look for it! I keep hearing everyone say that tofu does not taste bad. I need to try it while it looks like this! This looks delicious. It looks really delicious. I love tofu. I am always looking for meatless recipes. This looks delicious. I will have to give it a try. This recipe looks delicious and easy to make. I will have to get the ingredients i need to make this on the weekend. This looks really good. Looks like it’s so simple to make too. I’m always looking for different recipes that are easy to make for the family. The masala sauce looks so good. That’s a great time-saving meal as well. Yummy recipe! I just recently got into tofu so I have to try this recipe out! Bookmarked! Wow this really does look easy! I have a few vegetarian friends myself and sometimes, I have a hard time trying to think of what to cook for them when they come over. I have not had tofu before like this!! This sounds like a great meal to make up like this, the flavor sounds delicious! I’ve been on a tofu kick lately too. We’ve made a lot of Sweet and Sour Tofu, but this looks amazing also. We’ll have to try it! 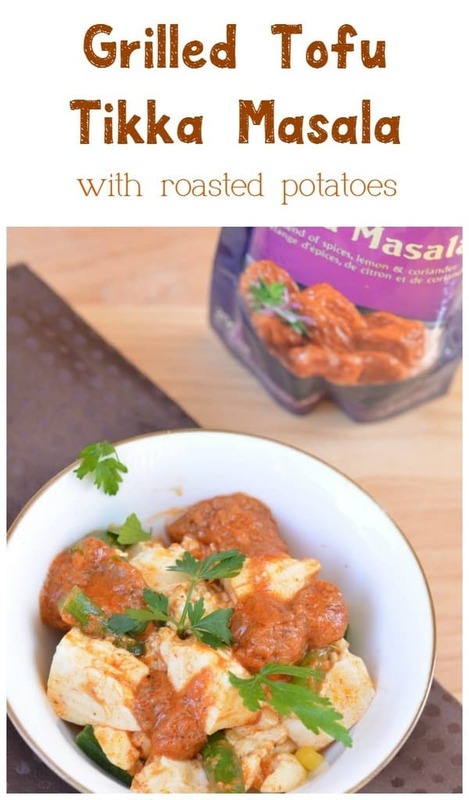 I love Tikka Masala! I have never had it with Tofu, but I like tofu too, so I am sure this is a winner! I have never eaten tofu. I have an allergy to the main ingredient, but this looks delicious!! I make a tofu stir fry. The same as chicken stir fry except I substitute the chicken with tofu. My kids love it! I love Tikka Masala and Patak’s has the best sauces! I find that dishes with tofu have more flavor when marinated or rubbed with spices prior to grilling.